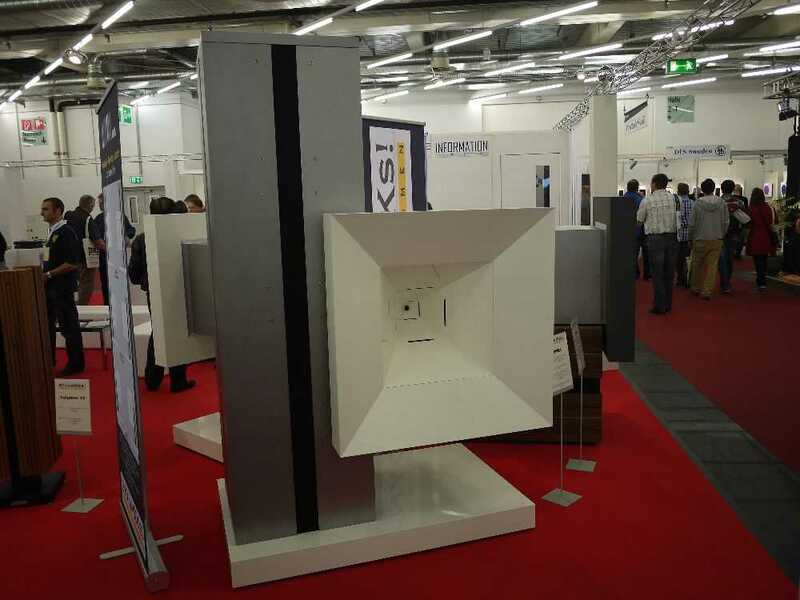 The High End show in Munich is not about hifi gear, as everyone would think. In truth the show is about social life. 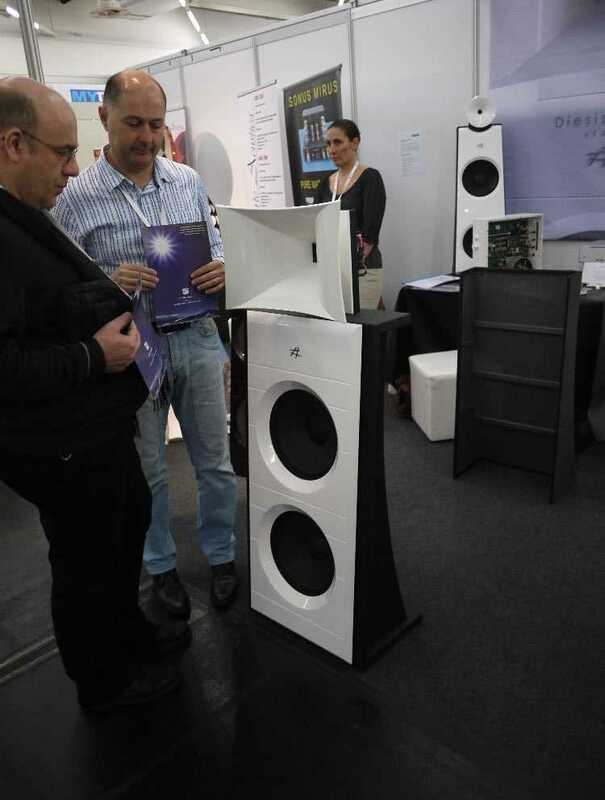 Enthusiasts meet and greet. Gurus meet their followers. Godfathers meet altar boys. 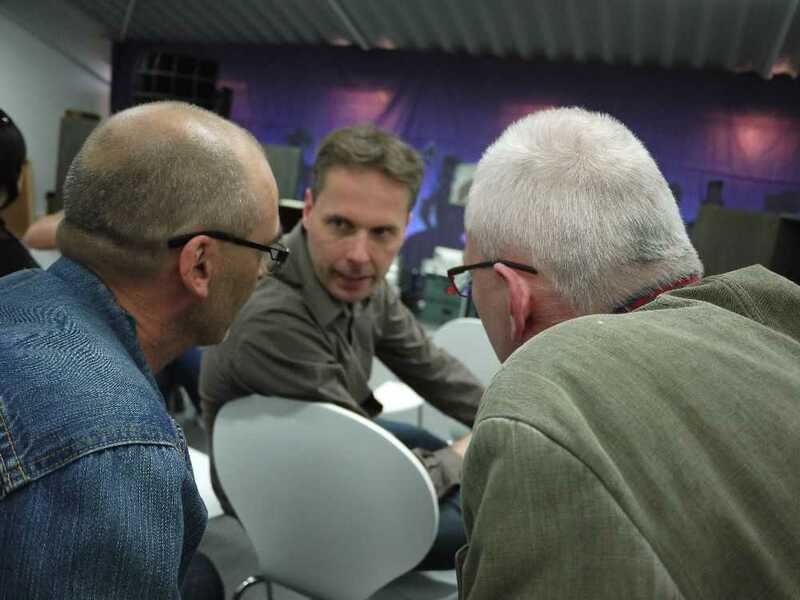 Manufacturers meet distributors, dealers or clients. Or just friends meet. 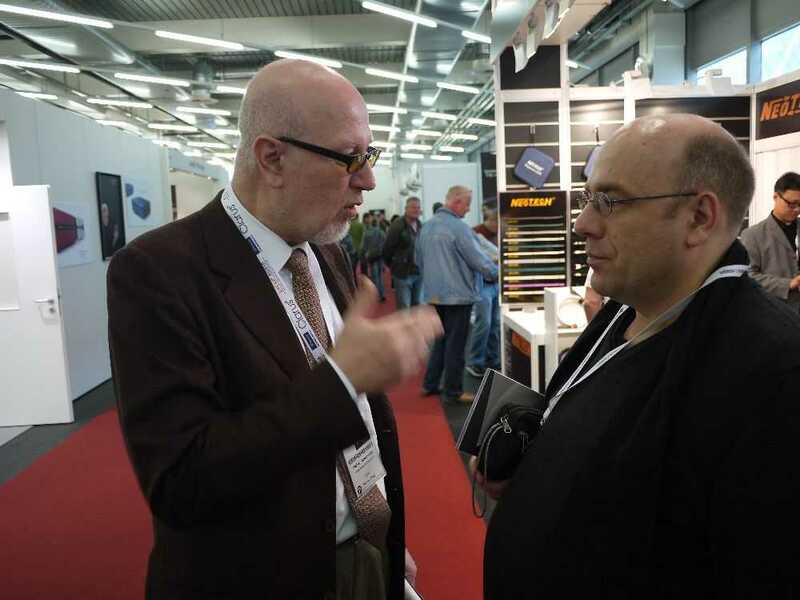 All kinds of social activity can be found at the High End show. 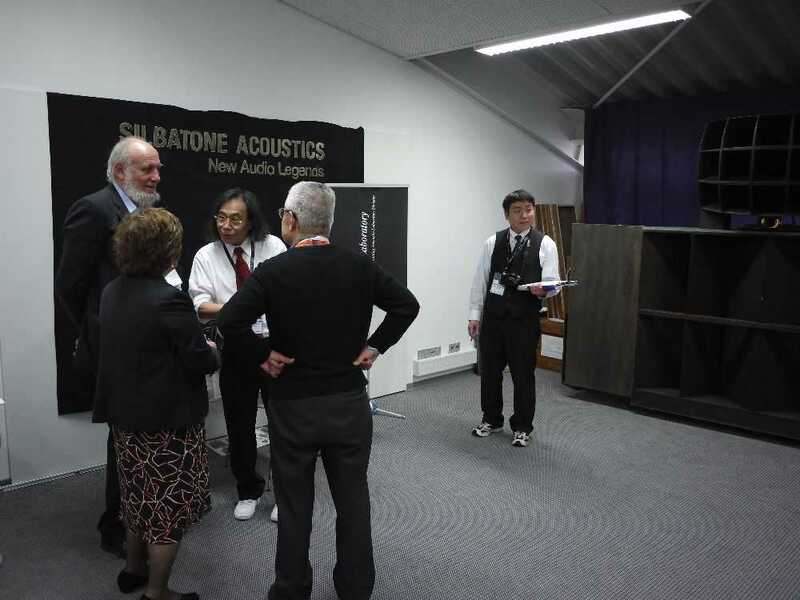 At the Silbatone room, music lovers, vintage gear enthuasiasts and tube audio designers said hello. 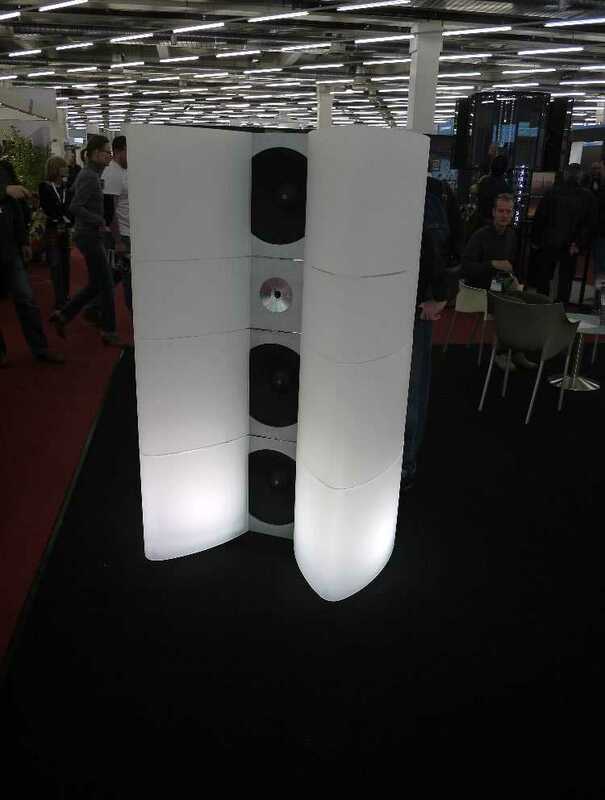 Diesis from Italy showed their big dipole bass plus horn speakers. These are available in different sizes. 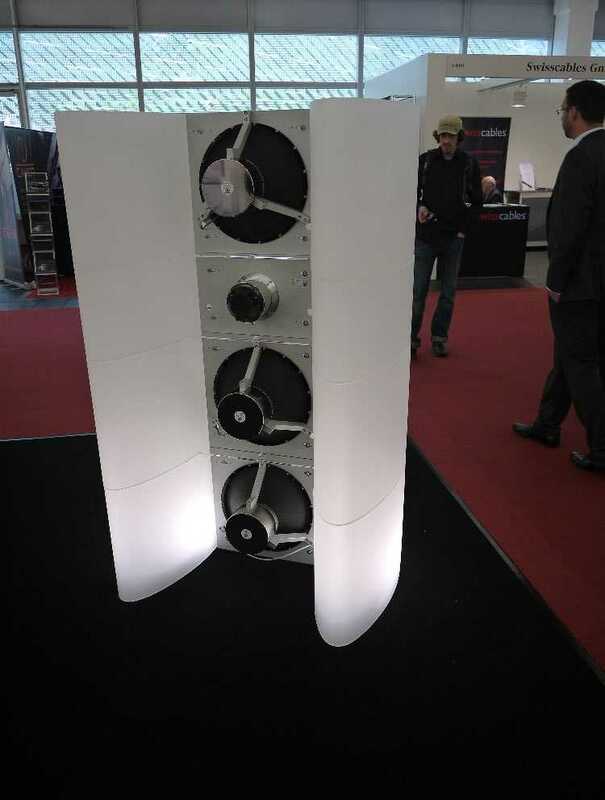 I am quite convinced that this is the right way of building a speaker with non-boxy sound with excellent impulse response. 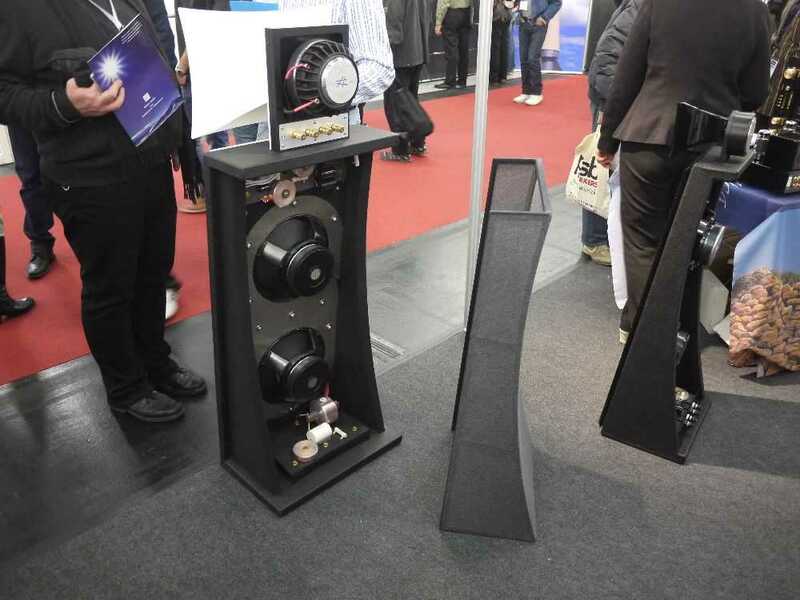 Indeed my own DIY speakers which I have at home follow the same design principle. 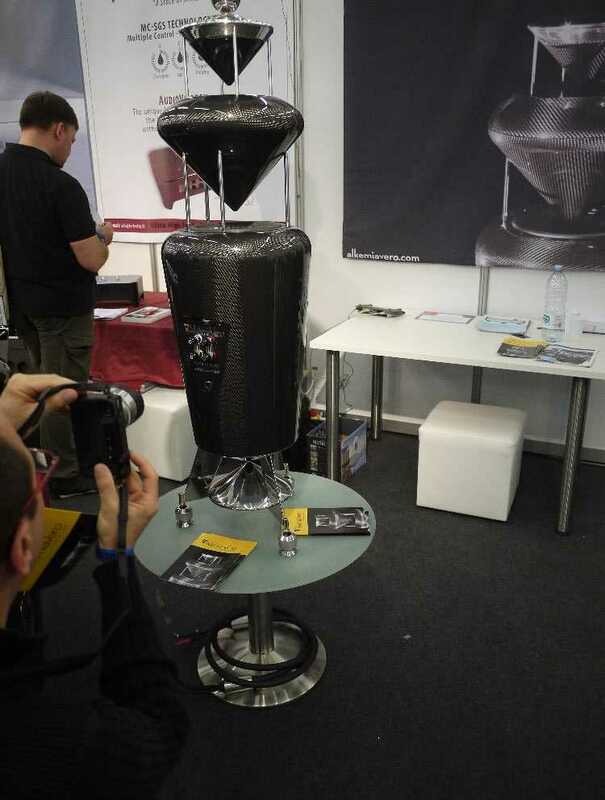 Alkemiavero also from Italy had their omnidirectional speaker for display. You need a special taste for liking its look, I think. 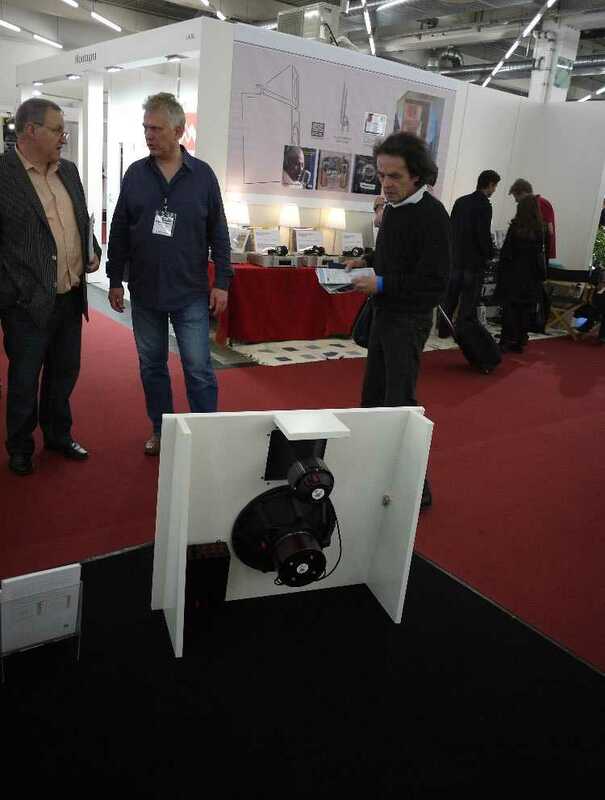 Wolf von Langa from Germany, famous for his field coil drivers and also for horn and dipole speakers, presented his speaker models Black&White and Decorator. Especially the Decorator reminded me of a modern art light installation, rather. 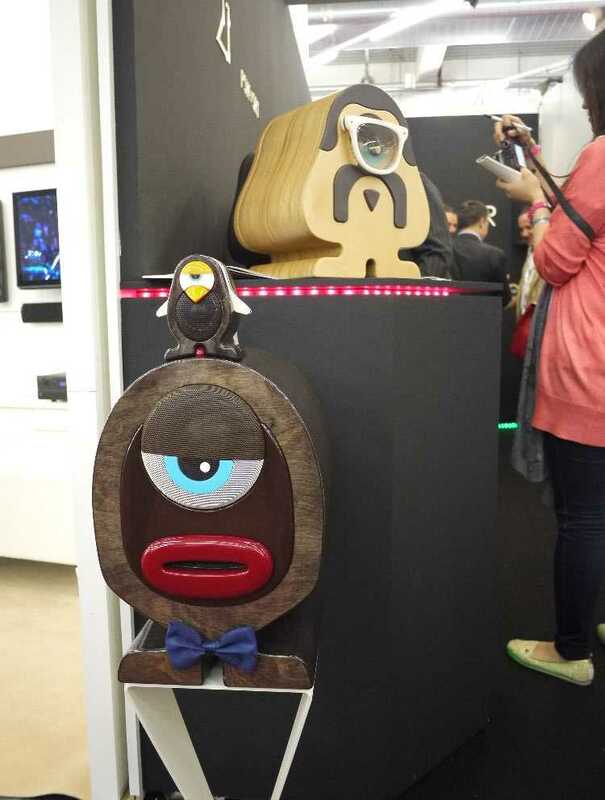 The Varios from Italy really made me smile with their speaker models MRT Lola and Vincent. 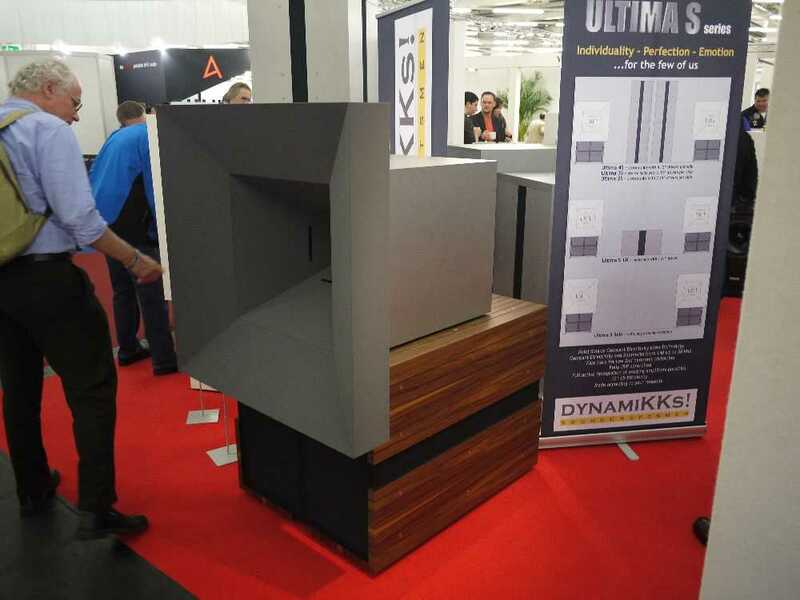 Dynamikks from Germany had their full range of loudspeakers at the show. Years before Ulf Moning started business under the Dynavox brand. 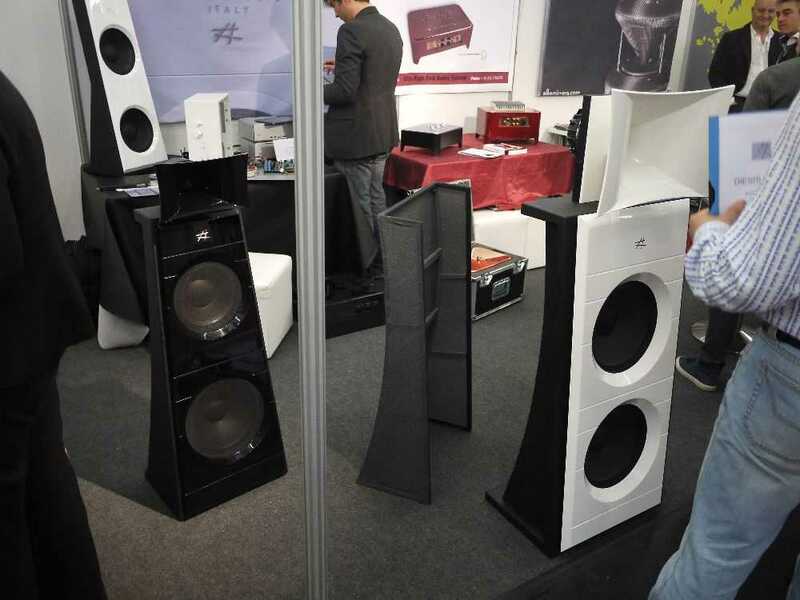 But when an Asian audio company came up with the same name, he decided to go on under a new brand name. This year he launced his top model "Ultima! ", which looks serious indeed. 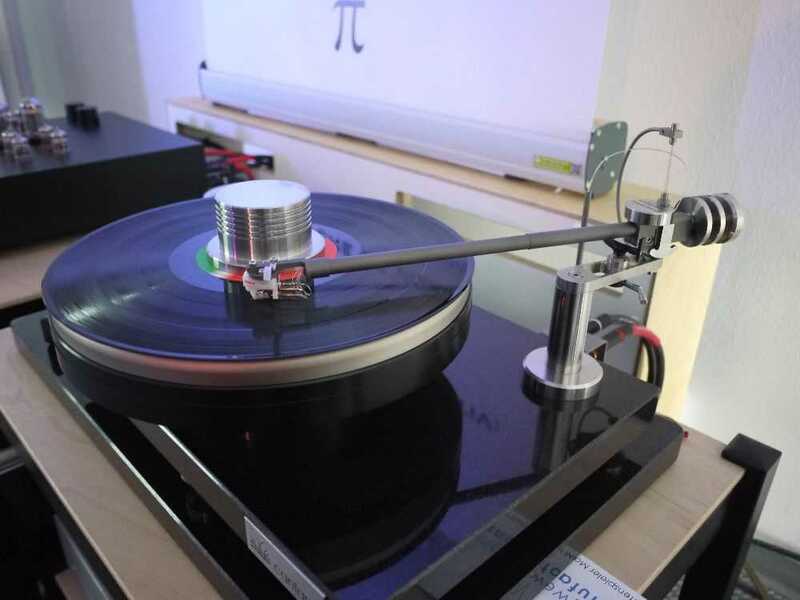 Daniel Schuch, an engineer and tonearm designer from Germany, presented his prototype. At least this is something new and never seen before. 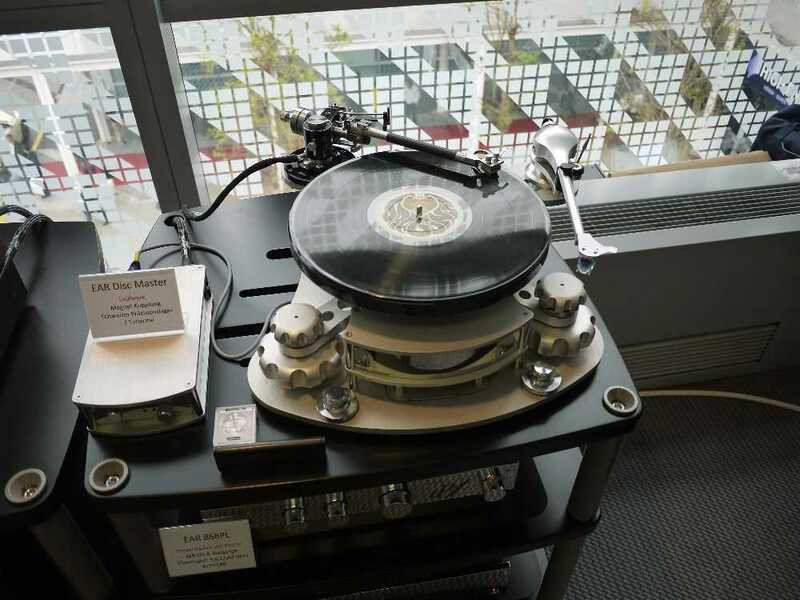 Klangwellenmanufaktur from Germany, a company I never heard of before, had a turntable and turntable on the show. 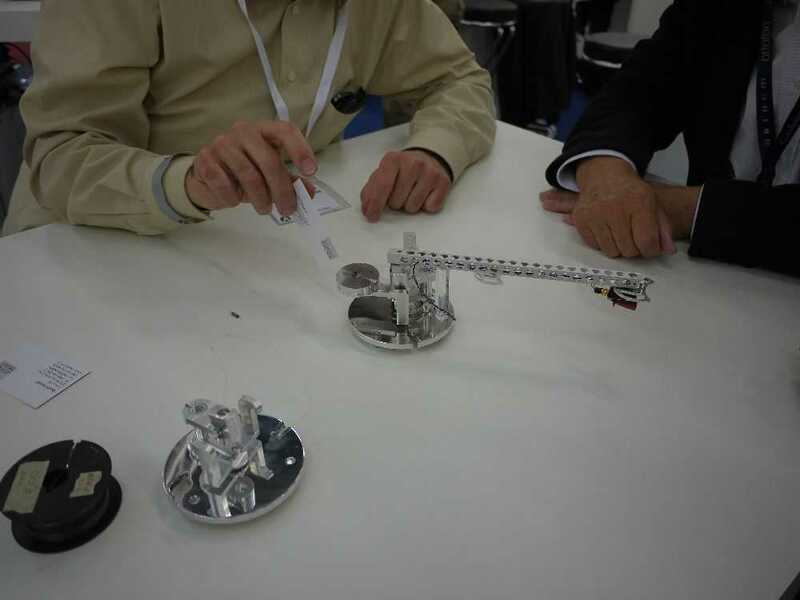 Though, I was unable to understand how the tonearm works. EAR had their famous Disc Master turntable running beautifully playing my "Dragons" LP. 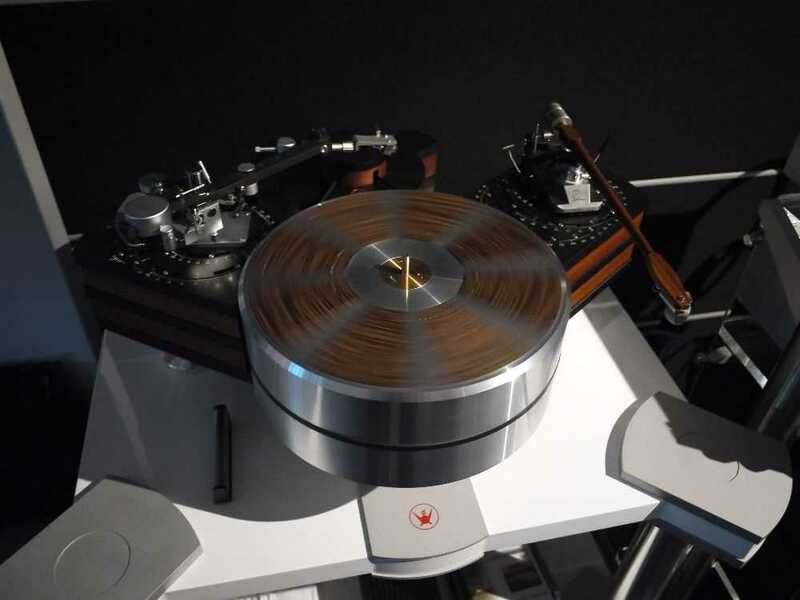 Last, but definitely not least, Sperling from Germany presented their new big turntable, featuring both the Dynavector tonearm and the Durand Telos tonearm. Now this shows, what German engineering really is about: perfect technics, perfect mechanics, perfect finish, absolutely stunning. The icing on the cake is that it is more affordable than it looks. It returned to my mind, that when I was in my thirties, I took photos with a Leica camera, and absolutely loved look and finish, and also the pictures that I took with that camera. 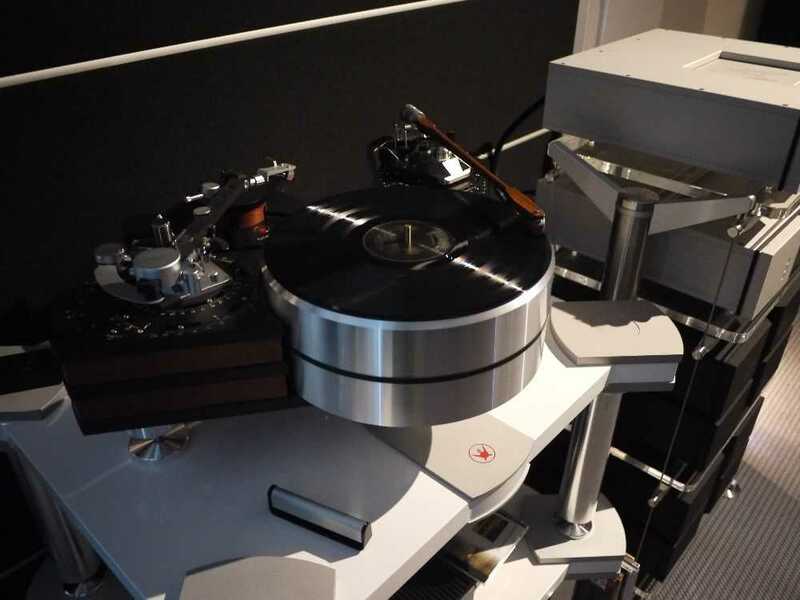 The Sperling turntable has a look and finish very much in German tradition.